Several years ago, I facilitated a retreat that equipped organizational leaders to effectively handle conflict. We spent a good deal of time talking about some of the behaviors of people in the organization. God used the opportunity to remind me of something. Many of the issues and problems that ALL organizations face are due to a lack of submission on the part of the people in the organization. Do everything without complaining, do everything without arguing, so that that you may become blameless and pure children of God. Hang with me for a minute and you’ll understand something about how this applies to your marriage. Let’s say you’ve started a small business and hired people to help you run it. You are the one held responsible for the outcome of the activities the business conducts. Unfortunately, some of your employees won’t come to work on time, so your customers have to wait for service. Maybe the business is a restaurant, and the fry cook didn’t show up for his shift. If the customers wait long enough, they are going to get mad. And then they’re going to want to talk to someone. It won’t be the fry cook. It will be the manager or owner of the company. Or maybe some of your employees don’t get their work done on time? Like a server who lets an order sit long enough for it to get cold? Or even worse… what if you hired a manager to help you run your chicken sandwich business, and the manager decides to exclusively sell hamburgers? What if your stockholders found out? They had no intentions of investing in a hamburger restaurant. They wanted the chicken restaurant. You’d have all sorts of issues, including potentially legal ones. Even if the customers of the restaurant were not displeased, there’s a problem. And the problem lies in submission and respect for YOU. There was a time when I had someone on my team that was not interested in doing things the way I felt led by God to do them. We had a lot of conflict, and honestly, I confess, I didn’t always handle things perfectly well. But she continually refused to submit to my authority as the leader, continued challenging me in front of others, and was disrespectful enough that it started to undermine my authority and influence with the entire team. Long story short, we parted ways. And I felt like I wanted to give up what I was doing because it was all too hard, and nothing I did made it better. In ANY given organization (whether it is family, church, ministry, or business), when people don’t support the mission, there’s conflict. Sometimes the person responsible can fix it. Sometimes they can’t. In marriage, when the wife communicates a lack of support of the mission, her husband feels like the business owner. This then often sets up the cycle of that breeds divorce. Most times she doesn’t even realize that she’s communicating this way. 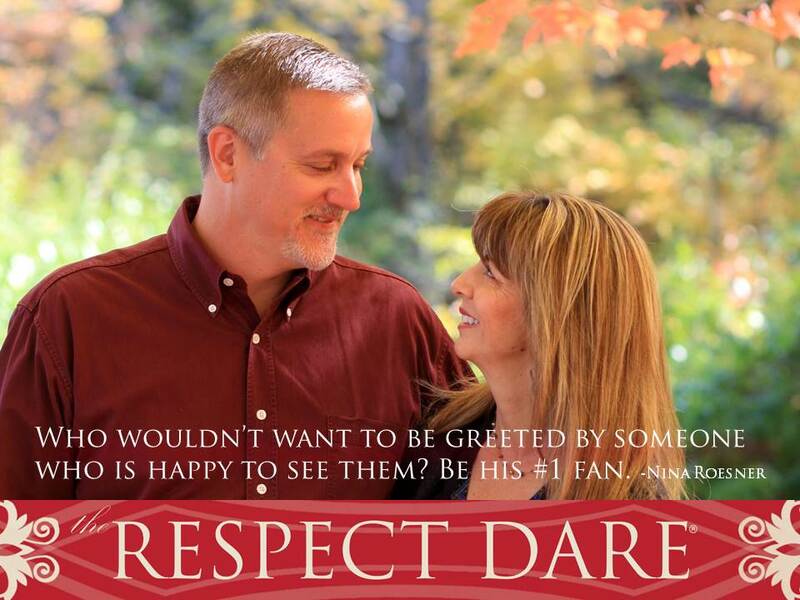 Even if she thinks she’s being supportive, he is perceives her comments as disrespectful – or that she’s undermining him. And they become adversaries. Research shows that unless they stop the steps that begin divorce, they are in real trouble. In marriage, when the husband leads with a “my-way-or-the-highway” approach, the wife doesn’t feel like helping the family with the mission. This also begins the process toward divorce. The thing that sets marriage apart from a business is the covenant with God. Understand I’m NOT saying that the wife is in the same position as employee. God is very, very clear that she is her husband’s equal. He does give her a specific charge, however. To submit and respect. God knows that marriage is tough and that it takes men a while to accept their wife’s influence. He gives us this information to help us get our ideas heard. Know that if you are not submissive to the mission and don’t communicate this respectfully, you are creating conflict in your marriage. Since God holds the husband accountable as responsible for the marriage (Genesis 3:9-11) and is considered “the head” of the wife (Ephesians 22-24), that puts him “in charge” from a responsibility standpoint. But guess what? He doesn’t always know what he’s doing. He needs his wife’s help. I also believe God communicated that the husband and wife are co-creators in the family, with the wife being a crucial part to the family’s creation by having family be impossible without her from a physical standpoint. Children cannot even enter the picture (the man can’t even start the business) without her. (Please don’t mis-interpret my intentions here to be anti-adoption or harmful toward women who struggle with infertility – I’m not talking about that at all.) Sorta’ like a partnership where one guy has the idea and the other guy has the money to make it happen. BOTH are necessary or nothing is created. I also believe that God took many of his “successful relationship elements” out of the man when He created Eve. I don’t believe He took simple physical characteristics alone, but rather made her different and unique, similar, but special. Man is special, as well, uniquely suited for certain things, different. He could have made Eve from dirt, just like He made Adam and the animals, but I believe He either made man deficit in the first place or removed them and gave those parts to Eve so that man would need woman in a whole host of ways. Our physiology certainly supports that notion, although it is just a thought on my part based on what I’ve read. And given that there are several places where the Bible says it is good for a man to marry. It tells us that whoever finds a wife finds a good thing. The Bible notably does not describe what benefit a woman receives from marriage… this might be an indication that men receive the larger portion of blessings in marriage. Our Ministry’s anecdotal evidence suggests that nearly all women are unhappy or disappointed with their marriage relationship in some way. Maybe you are one of them. Most would agree that the marriage is more work than the friendships we have with our sisters and girlfriends! Every great organization needs people who are fully engaged in the mission to make things happen. They contribute great ideas, work hard, and verbally support the mission. God’s #1 role for the wife is “helper” to her husband. This does NOT mean that she “helps” him by being his slave, but rather helps him Holy Spirit/Jesus/God-style. The same word to describe these elements of the Trinity is used to describe the wife in the Bible – “helper.” That’s awesome! Notice God established Himself in community, as He did the first organization, the family. And Eve is an integral part of that. What about you? Are you struggling in this area? What have you been learning? And join us in the journey by doing The Respect Dare with us. We start Dare 7 next week, doing just one at a time, dialoguing with you as you journey. And if you are parenting teens, tweens or twenty-somethings, you should totally follow Debbie. Like us on Facebook I’m also active on Twitter as @NinaRoesner. Come join the discussions!